Patagonia has upped its political activism in light of Secretary of the Interior Ryan Zinke's recommendation to Trump to reduce the monument designation of Bears Ears to 201,876 acres. Grand Staircase-Escalante, a controversial designation by former president Bill Clinton in an attempt to assuage environmentalist donors before the 1996 election, was also reduced. "In an illegal move, the president just reduced the size of Bears Ears and Grand Staircase-Escalante National Monuments," Patagonia states on its website. "This is the largest elimination of protected land in American history." Patagonia falsely claims the administration will sell the land. The Department of the Interior said the land formerly designated as a national monument would remain under federal control. The administration has reduced the size of the monument designations, which will lift strict federal restrictions on the land, though the federal government will still own it. "History shows that when the federal government grants, sells, or otherwise gifts federal land to states, 70 percent of the land is sold to private interests, jeopardizing public access," Patagonia said. "States have different rules for land management, and private lands are often not accessible to the general public, meaning the transfer of federal lands to private hands could impact outdoor activity and access." "This is not true," the Department of the Interior said. 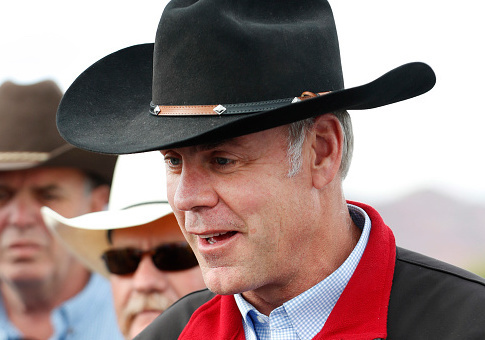 "The Secretary adamantly opposes the wholesale sale or transfer of public lands." "The Antiquities Act only allows federal land to be reserved as a national monument," the department continued. "Therefore, if any monument is reduced, the land would remain federally owned and would be managed by the appropriate federal land management agency, such as the BLM, U.S. Forest Service, U.S. Fish and Wildlife Service, or the National Park Service (NPS)." When asked for comment on whether the campaign is misleading since the lands will still be under federal control, Patagonia pointed to a blog post that accused Trump of lying throughout his announcement on Bears Ears and Grand Staircase-Escalante. The post begins by claiming Trump "revoked two national monuments." The monuments were not revoked, but were reduced. Grand Staircase-Escalante was reduced by roughly 800,000 acres. Zinke also proposed adding three new national monuments in Montana, Kentucky, and Mississippi, totaling over 1 million acres. Patagonia also claims in the blog post that "No president has ever done that before." The New York Times notes that previous presidents have shrunk national monuments but were never sued by activist groups for doing so. Two Democratic presidents, Woodrow Wilson and Franklin Roosevelt, reduced the size of national monuments including the Grand Canyon, according to Vox.com. Zinke and Republicans have been critical of Patagonia for its foray into political activism. "Patagonia is lying to you," the House Natural Resources Committee tweeted. "A corporate giant hijacking our public lands debate to sell more products to wealthy elitist urban dwellers from New York to San Francisco." When asked about Patagonia's efforts, Zinke dismissed the company. "You mean Patagonia, made in China? This is an example of a special interest," he said. Patagonia has numerous factories in China, Thailand, Vietnam, and Mexico. In the past, the company's mills in Taiwan have engaged in human trafficking. Observers have noted its campaign against Trump has been "good for business." Sales were up 7 percent in the week after changing its website landing page to the anti-Trump message. Patagonia has joined a lawsuit against Trump and Zinke contesting the change to Bears Ears, arguing that it will hurt the company's bottom line. Patagonia calls itself "the activist company." The company warns against global warming and believes "humankind as a whole will destroy our planet." This entry was posted in Issues and tagged Department of the Interior, National Park Service, Trump Administration. Bookmark the permalink.